Source Paper: Sonenshine DE. Range Expansion of Tick Disease Vectors in North America: Implications for Spread of Tick-Borne Disease. International Journal of Environmental Research and Public Health. 2018;15(3):478. doi:10.3390/ijerph15030478. An organism that spreads disease is called a vector, and the diseases spread by these vectors are called vector-borne diseases. The area in which an organism lives is called its habitat. Ticks, small organisms that feed on the blood of humans and animals, spread nearly 95% of all vector-borne diseases in the United States. These diseases (called tick-borne diseases) include Lyme disease, Rocky Mountain spotted fever, and many others. The specific species of ticks that spread these diseases are widespread in many areas of the country. And the diseases that they spread are already common in these existent tick habitats. However, a recent paper published in the International Journal of Environmental Research and Public Health by Dr. Daniel Sonenshine shows that tick habitat is actually expanding. Like most things in nature, there is no single specific reason for this – but climate change is a driving factor. Ticks cannot survive sustained periods of below-freezing temperatures. For a long time, the winter temperatures in the United States have been rising, as shown in Figures 1 and 2 below. Figure 1) This map from the National Oceanic and Atmospheric Administration (NOAA) shows average temperatures in February 2001. Different colors represent different temperatures, as shown in the color bar below the map. Figure 2) This map from the NOAA shows average temperatures in February 2017. Different colors represent different temperatures, as shown in the color bar below the map. Even in the short sixteen-year period shown in Figures 1 and 2, the changes are easy to see. Compared to February 2001, most areas of the United States were a lot warmer in February 2017. This is not an isolated finding, as the temperature trends over the last four decades show warmer winters and fewer areas with temperatures below freezing. Figure 3, from the Sonenshine article, illustrates this. Figure 3) The average minimum temperatures in January in the continental United States in 1970 (Map A) and 2016 (Map B). From top to bottom, the different colors represent the following temperature ranges: Dark blue: 10°F or below; medium blue: 11°F-20°F, light blue: 21°F-30°F, blue-green: 31°F-40°F, and grey: 41°F-50°F. In 2016, (Map B), far more areas of the United States are blue-green (particularly in the south and southeast). This means that a much larger area of the country did not experiencing freezing temperatures that year. Since sustained freezing temperatures are one the natural barriers to increasing tick populations, this is doubly bad. 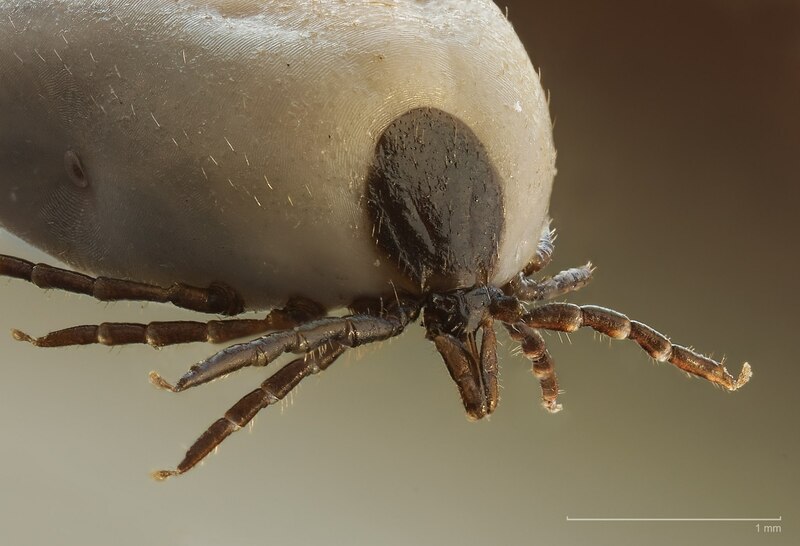 Not only are more ticks surviving the winter in existing tick habitats, but more and more areas are becoming suitable as new tick habitats – mainly due to warming temperatures. As you can see in Figure 4 below (also from the Sonenshine article), the current habitat area for the Gulf Coast TIck is much larger than the historical habitat area. Figure 4) The historic and current habitat of the Gulf Coast Tick. The yellow area as a whole is the current habitat range of this type of tick. The yellow area below the thick black line is its historical habitat range. The four black dots represent isolated instances of this tick and the two stars represent new populations of this tick. The historical habitat area is similar to the areas of above freezing temperatures in Map A of Figure 3 (the blue-green and gray areas). The current habitat lines up with the blue-green and gray areas of Map B of Figure 3, and continues even beyond it, further supporting the relationship between warmer temperatures and increasing tick habitat area. If tick habitat is increasing, and tick population is increasing, we would expect an increase in tick-borne diseases, too, right? That’s exactly right – and we’re seeing that, as well. Figure 5) This map from are the Centers for Disease Control and Prevention (CDC) shows cases of Lyme disease (a tick-borne disease) in the United States in 2001. Each dot represents one reported case. Figure 6) This map from the CDC shows cases of Lyme disease (a tick-borne disease) in the United States in 2016. Each dot represents one reported case. As shown in Figures 5 and 6, in 2016, not only were there many more reported cases of Lyme disease, but many of these cases were in areas where there were no such cases in 2001. More cases of any disease is cause for worry. That so many new cases are in areas where there were none previously is more worrying. The public health and medical infrastructure in these areas now have to deal with a new disease that didn’t really exist there before. That these cases are related to the spread of ticks is even more worrying. This suggests that as long as temperatures keep climbing, tick populations and tick habitat will keep increasing, and tick-borne diseases will keep spreading.